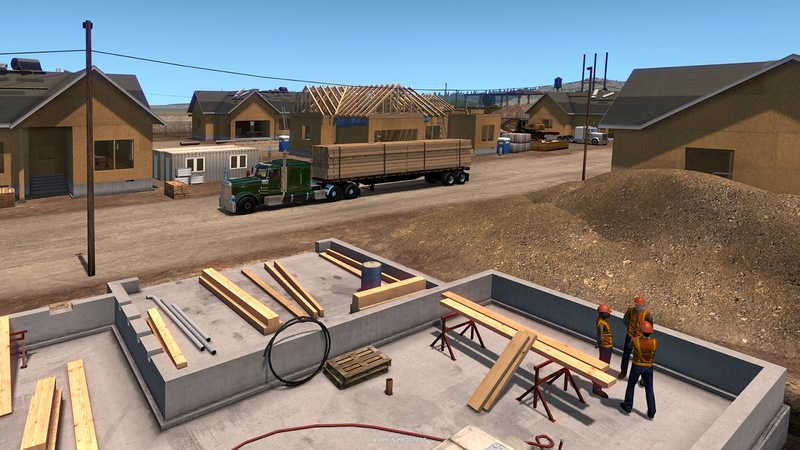 As our games mature and as our team grows to be able to focus on multiple projects and features of our games, we also pay more attention to the production chains and local industries within the game world. It is actually not a small task to bring in enough new types of cargo and facilities to populate the economy enough to achieve variety as well as to keep healthy supply and demand balance. 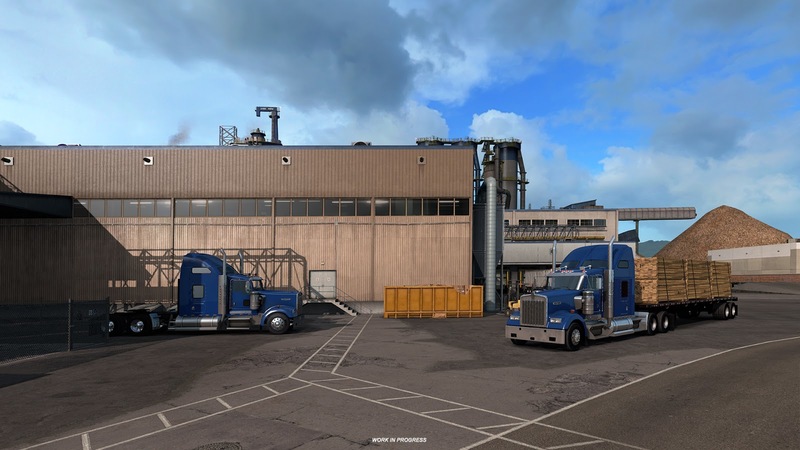 We take it as a longer-term ambition, but the goal is definitely for our deliveries to make more sense in players' eyes - we will be gradually moving away from the concept of random cargoes headed from a generic point A to a generic point B. 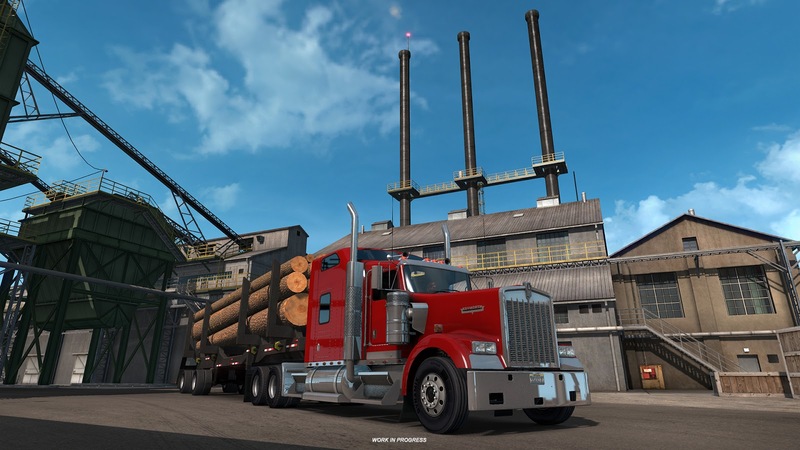 With Oregon, we are paying special attention to the woodworking logistic chain. 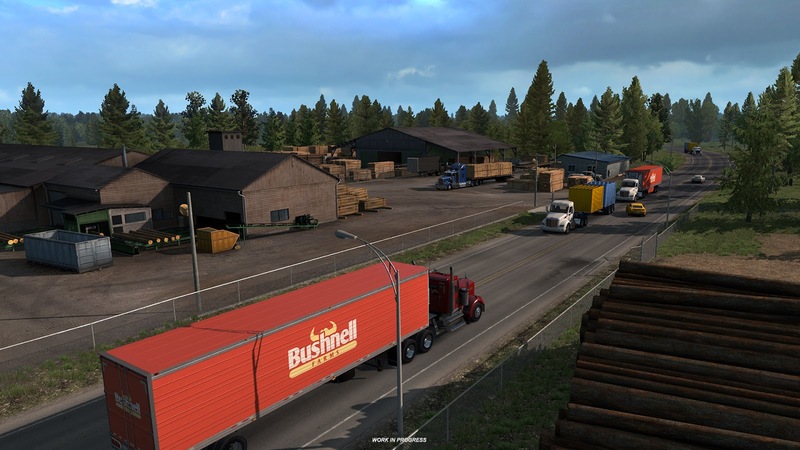 It's an interesting and characteristic part of Oregon's economy, and it will be a fun addition to the gameplay. 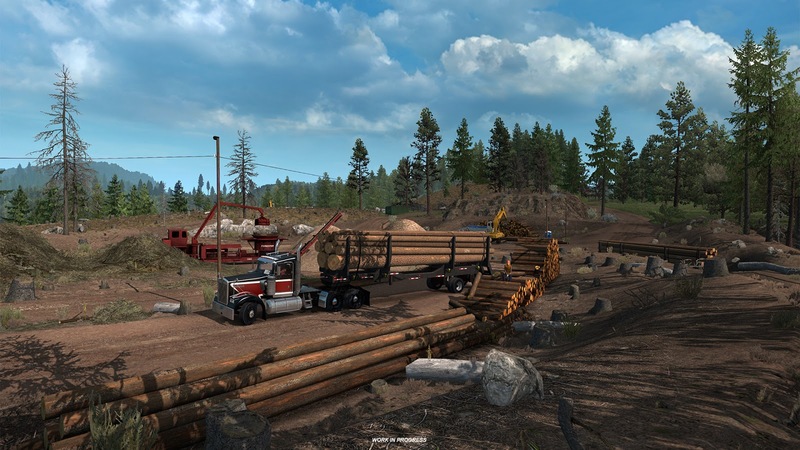 Timber, lumber, and products made of wood will give us a nice reason to journey to rural as well as urban areas of the state and beyond, with cargoes that originated as trees in a forest. 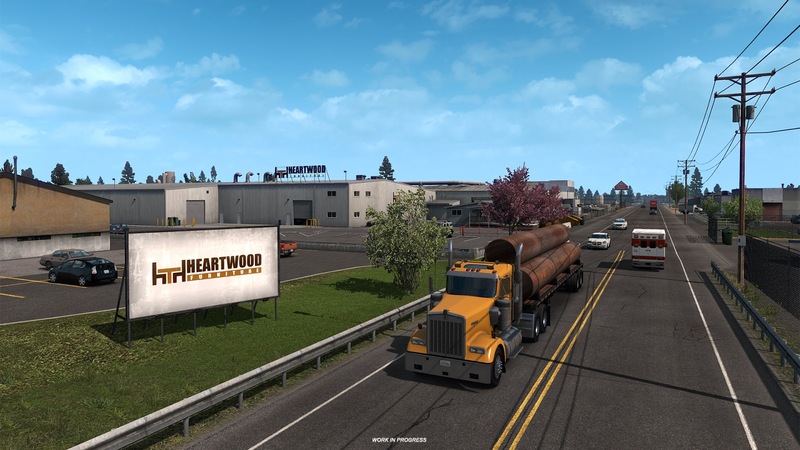 We have already shown you several related screenshots and even some video footage depicting elements of the wood production chain. 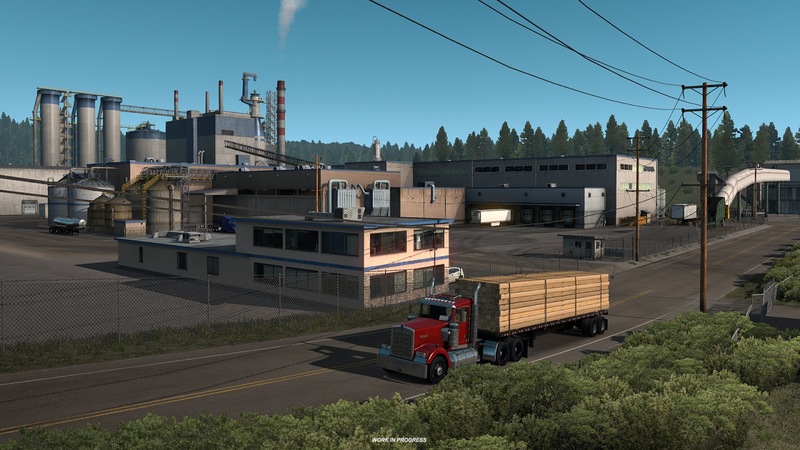 Today we want to share with you a few more detailed shots of Oregon woodworking facilities under construction for the upcoming American Truck Simulator DLC. 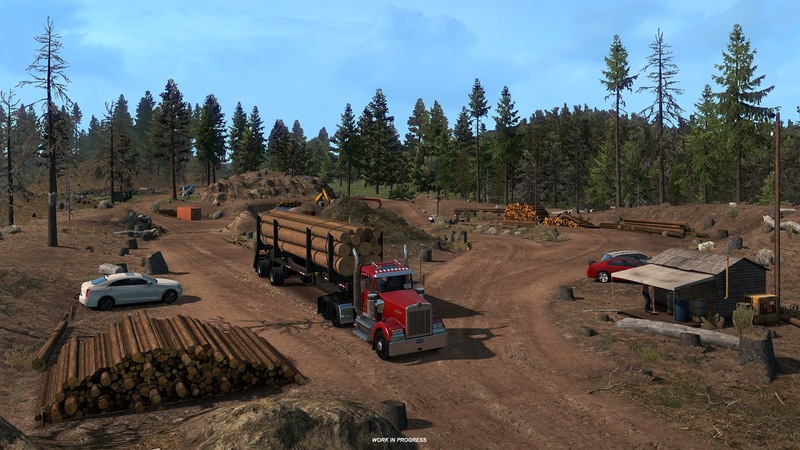 As you can see, there will be busy logging sites, dusty sawmills, a furniture factory as well as new building sites.